It was Mr B’s birthday this week and so I of course had to make a cake. He is a fan of all things Wallace and Gromit/Shaun the Sheep and earlier in the year he dragged me to the Shaun the Sheep movie when it came out. I scoured the internet for ideas and came across this one from Smart Mama which appealed to me as I can cope with making 2D cake decorations. I have zero skills in 3D sugar work or anything like that, so I play to my strengths of making cakes and leave my decorating weaknesses well alone! 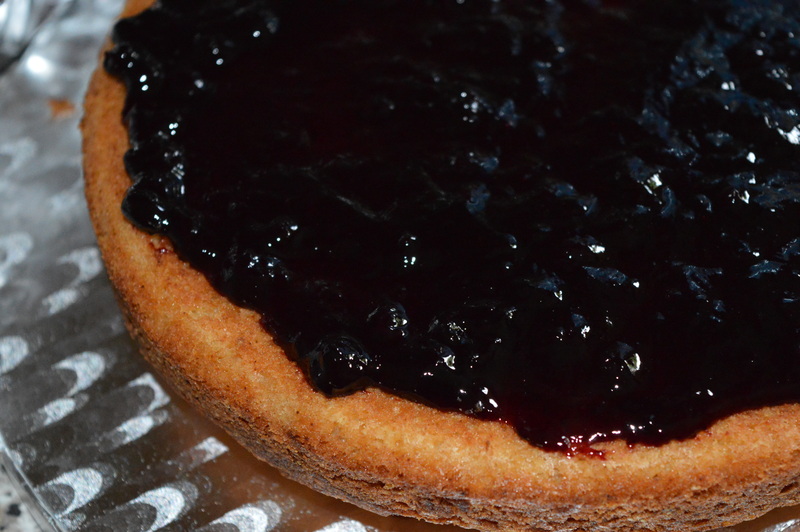 I made a classic Victoria sponge cake and filled it with a Bonne Maman blueberry preserve, almost to the edge. 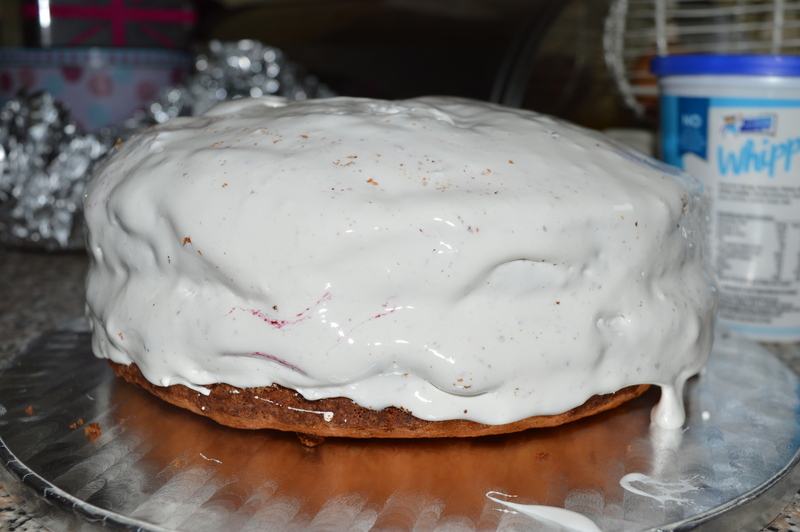 Using a tub of marshmallow spread I covered the cake (which was tricky as it’s so sticky!) and before covering most of the cake with marshmallows, I rolled out some black ready to roll icing and cut out the shapes for Shaun’s head, ears and legs. It went down very well and it also impressed the in-laws (extra bonus points to me!) 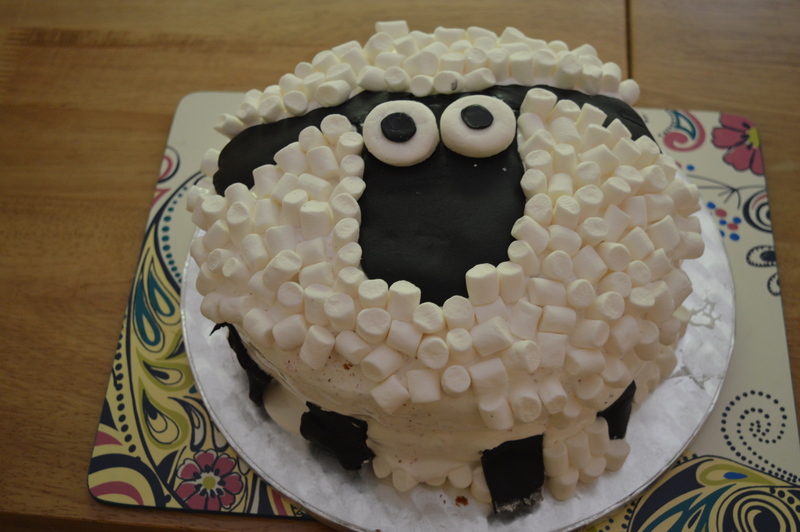 Scroll down for the recipe and photos (I especially like the last one when Shaun is trapped in the box! Preheat the oven to 180c fan and line two 20″ round tins. Cream the softened butter and sugar together with an electric whisk or stand mixer for 5 minutes until very pale, then add the vanilla extract and whisk in until fully combined. Add in the eggs, one at a time and whisk, adding in a little flour after each egg. Once all the egg has been beaten in, sift and fold in the self raising flour until it’s a smooth mixture. Divide the mixture between the two tins and smooth the top with a palette knife. 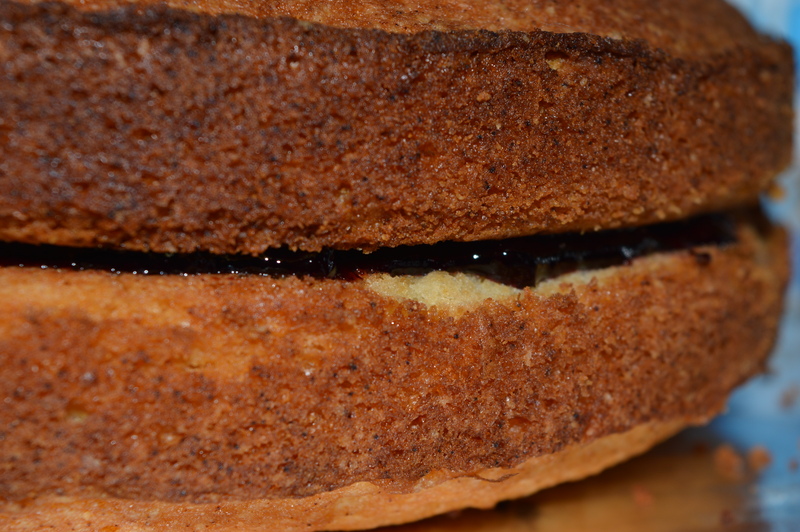 Leave to cool fully then spread the preserve on one of the cakes and press the other one down on top. 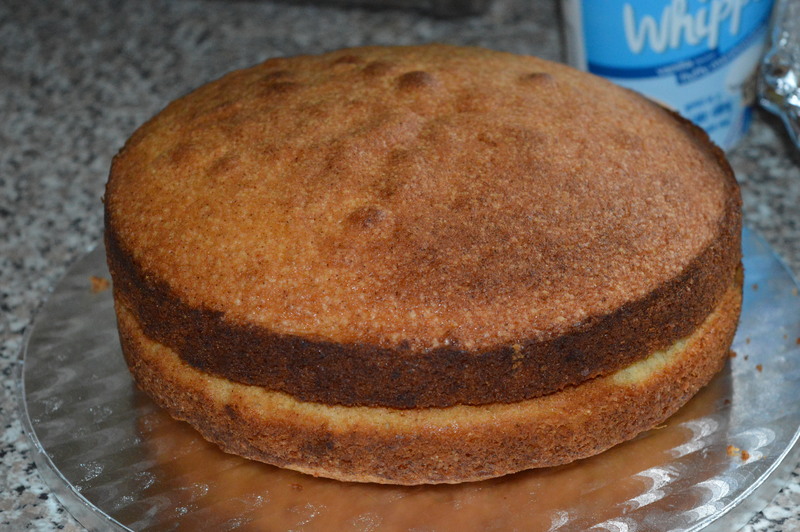 Use the tub of marshmallow spread all over the cake – it’s sticky so be gentle, and dip a palette knife into hot water every now and again to help spread the marshmallow over the cake smoothly. You’ll see on my pictures that I didn’t do this perfectly and there are crumbs and the odd spot of blueberry jam, but as you will be completely covering this layer with marshmallows, it really doesn’t matter. 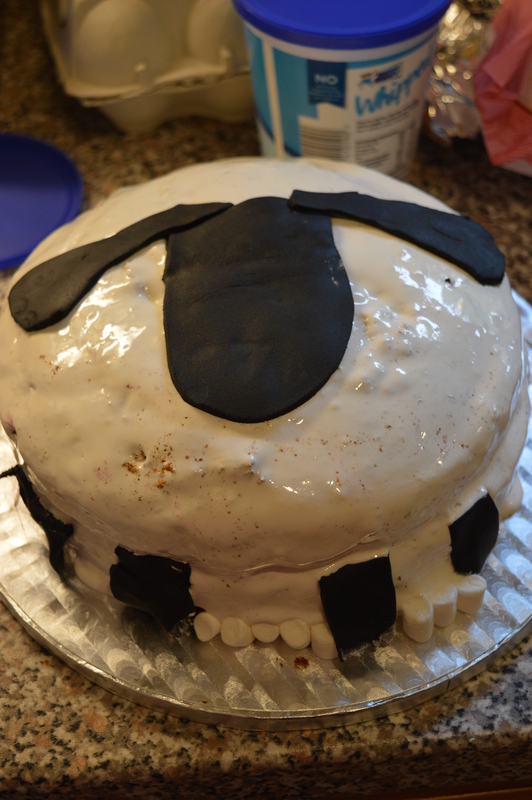 Roll out half of the pack of black icing and cut out a rounded rectangle and two ear shapes for Shaun’s head, then position on the cake. Cut out four smaller rounded rectangles – these will be used for Shaun’s legs/feet and can be positioned on the sides of the cake. 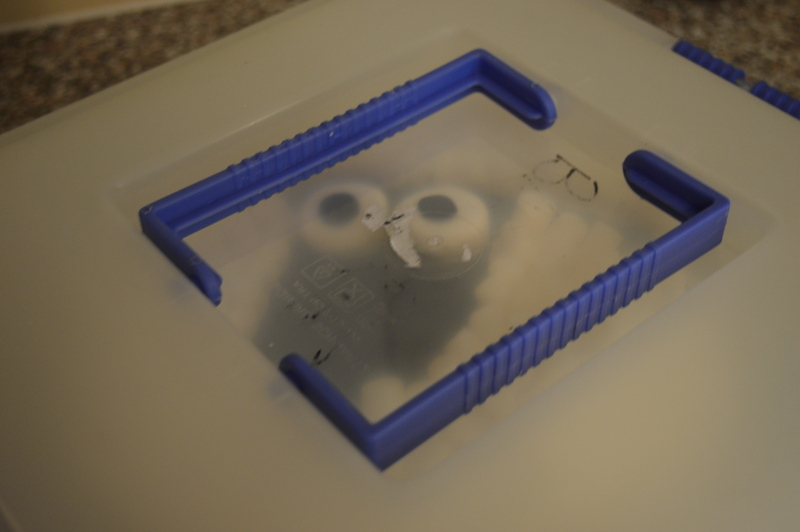 Finally, cut out two very small round circles, these will be used for Shaun’s eyes. 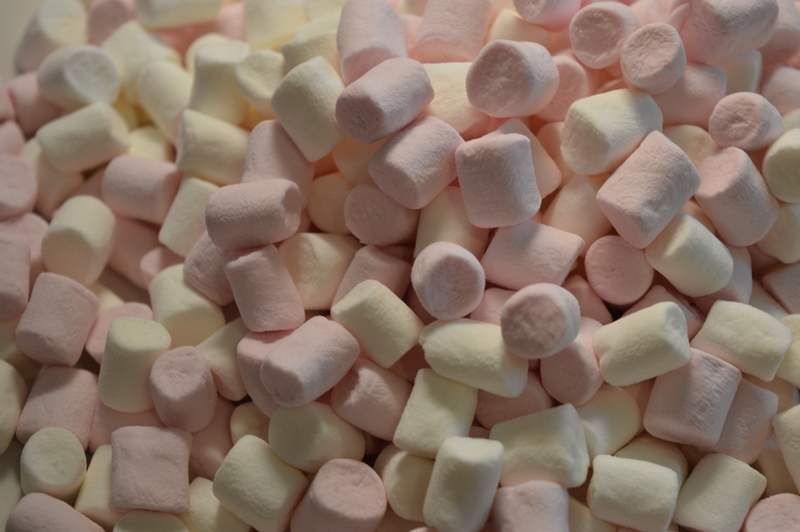 Cut two large marshmallows in half and place the wider flat bottomed pieces of marshmallow on the rounded rectangle. Then add the small round circles on top. 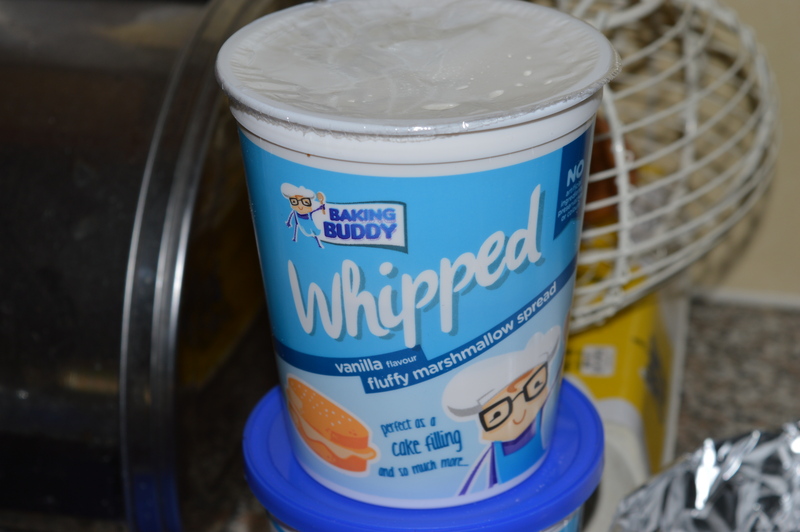 You can use a smidge of any marshmallow paste to secure. 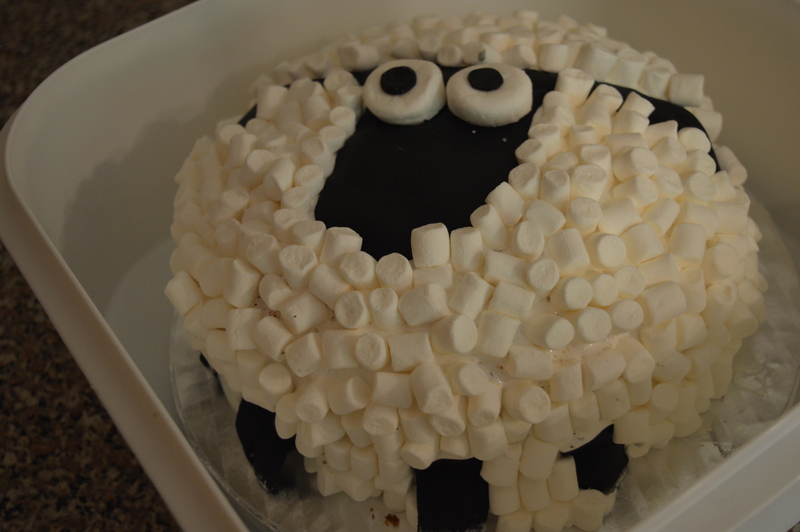 Finally, get your mini marshmallows and position them on the cake. For best effect, really squeeze them in together to maximise that fluffy sheep look! Love this. Mine is ready to go for tomorrow birthday celebrations! That is if the marshmallow doesn’t run off by morning! Thanks for stopping by Michael… hope the cake is well received tomorrow!